Crites Custom Pools, award winning custom pool builders offers competitive prices, 3-months of free chemicals with all beautiful pool designs, including swimming pool remodeling, renovations and replastering in Hutto, Cedar Park, Round Rock and Georgetown Texas. 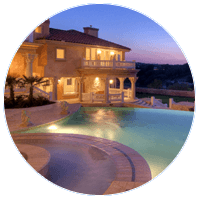 Award Winning Custom Pool Builder Austin, Texas! Finding a pool company that suits you and your home can be a challenge. Here's the solution... Crites Custom Pools is a reputable Austin pool builder with a long and proven track record of building gorgeous, award winning pools. For over three generations, the Crites family has built quality custom swimming pools and pool renovation, including pool replastering. 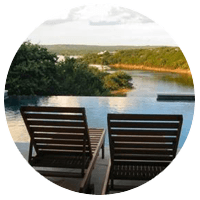 When it comes to choosing a pool builder in the Austin TX area, there are so many things to consider! We’ve built over 5,000 custom pools and we’re still building more. That’s the kind of experience you need from your pool company. Our 5-star rated service is turnkey – we take care of everything. We stay on schedule, on budget and we earn our referrals with providing our customers with the best pool construction experience! 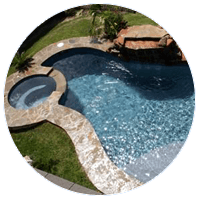 Why choose Crites Custom Pools? We offer the best warranties in the business, we’re 5-star rated, we’re A+ Better Business Bureau rated, you can get great financing WAC, our prices are very competitive and we’ll give you three months of pool chemicals FREE to help you “dive in.” Call and compare today! We’re looking forward to hearing from you in Austin, Round Rock, Georgetown, Cedar Park, Leander, Lakeway, Lago Vista, Liberty Hill, Pflugerville, Hutto, Temple & Waco! Higher home values, great outdoor recreation right in your backyard, a soothing and relaxing place for busy people who just need a little break. Let Crites Custom Pools create a paradise right in your back yard. A freeform pool can take on virtually any curvilinear shape (except circles or other rounded geometric patterns). Express Pools are designs that we already have, waiting for you to choose from your favorites. There's almost nothing as relaxing as to sit in your custom built pool with a water fall or fountains. 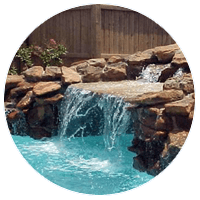 The sounds of a natural stream with the falling water makes your pool a backyard paradise. Let Crites Custom Pools build your new custom built swimming pool and then add a BBQ pit or custom patio to the design for better backyard experience. 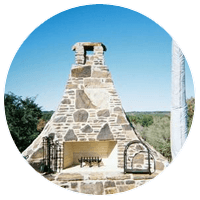 We work with you to design your custom patio & more. Negative & Wet Edge Pools - Want a more creative and stunning pool design? Ask about our modern style negative edge pools. You and everybody you know will love the look of this pool design. Build Your Backyard Paradise With Crites! At Crites Custom Pools, we believe that by focusing on the customer, all else will follow. That has been our experience in: Austin Swimming Pools. Enjoy the Outdoors More – And Add Significant Property Value! A little Love from happy clients. How does one express their true feeling about the greatest experience of their life when time and space are in control. FIRST: The people. Donna and Keagan are built from the same "old school" I was raised from. Their mantra is "if you are going to do some thing, do it perfectly, no mater how many times you have to do it, even if you have to do it yourself. Everyone of their subs are impeccable. Diamonds are not formed in a day, they take time. The same holds true in relationships. It is not everyday that you can say that the contractor who built your outdoor living space are your best friends. I would be completely surprised if Keagan and Donna did not stop by from time to time to enjoy some of the peace and tranquility that they have brought to this family. SECOND: The Workmanship. We now Have a very large cabana with kitchen and 50" TV overlooking the bar, an attached oversized pergola with huge fireplace, pool and spa, fire pit, shower and dressing area, all of which had to be fitted into an enormous back yard by today's standards filled with a maze of dry river beds. What was left when they finished is now all hard scape via artificial grass. All of the stone work matches our house to a "T". The pool and spa could not have been designed to meet our needs more perfectly. The enormous deck covered in "Kool Deck" adds a contrast to the white sandstone and green grass that cannot be described. In short, Our Backyard Is PERFECT. No mistakes, no flaws, no blemishes. One would have to see it to understand. Therefore: I want to invite any and everyone to come by and take a look. I plan to keep it clean everyday, so call Donna or Keagan and make an appointment to come see a very large piece of their handwork. We are in Round Rock right off of Old Settler's Blvd. If I ever build another pool, Donna and Keagan will build it. Donna definitely has an eye for design and she made some tweaks as construction began to enhance our layout. My experience with Crites Custom Pools was wonderful and very professional. The quote I got wasn’t the lowest but I was looking for quality work not just price. I had some serious pool repairs to be done. The work was excellent. The workers were hard working, competent, and cleaned up when they finished. The entire process was trouble-free and on time. I can’t say enough good things about Keagan Aleman who represents Crites Custom Pools. He accessed the pool repairs, was concise and knowledgeable about the repairs I needed. He was polite, courteous, and always did what he said he would. He oversaw all the work, kept me informed on the progress of the work, and where we were in the process. It was a pleasure to work with someone so professional. I highly recommend Crites Customs Pools. I can't say enough great things about Crites Custom Pools! Donna is fantastic to work with, the work is ALWAYS quality, and they have such creative ideas. Crites put in our original pool 3 years ago and we've had them do additional yard and pool work every year since. We love Donna and her crew!! The quality of the structural work and equipment was excellent. They use top quality equipment, the concrete shell used upgraded steel & plumbing and was thicker then the minimum standard. People at Crites Custom Pools Company are amazing! The swimming pool is the best we ever have in our backyard. Our swimming pool itself is beautiful!!!! We love it!!! Donna is fantastic to work with, the work is ALWAYS quality, and they have such creative ideas. Our backyard is such a place of rest now because of all Donna's efforts. This summer will mark our 3rd year enjoying our pool and we continue to be thrilled that we chose Crites to build our dream pool. The quality and service they have delivered has been an exceptional experience. If having a custom designed pool, with true quality workmanship while staying true to affordability aligns with your priorities – Crites Custom Pools will exceed your expectations as they have ours. Well, I just wanted to say, we just finished building our pool with Crites Custom Pools, and they truly exceeded our expectations. I would definitely recommend Crites for your swimming pool construction. They are professional and stand behind their product 110%.